Late study nights and early morning swim practices have been a household routine these last several weeks. As the school year winds down, it seems that my children have been bombarded with advanced placement tests, college standardized tests, and final exams. Thinking about our busy schedule this afternoon, I realized that I haven’t baked a fun dessert in a while. 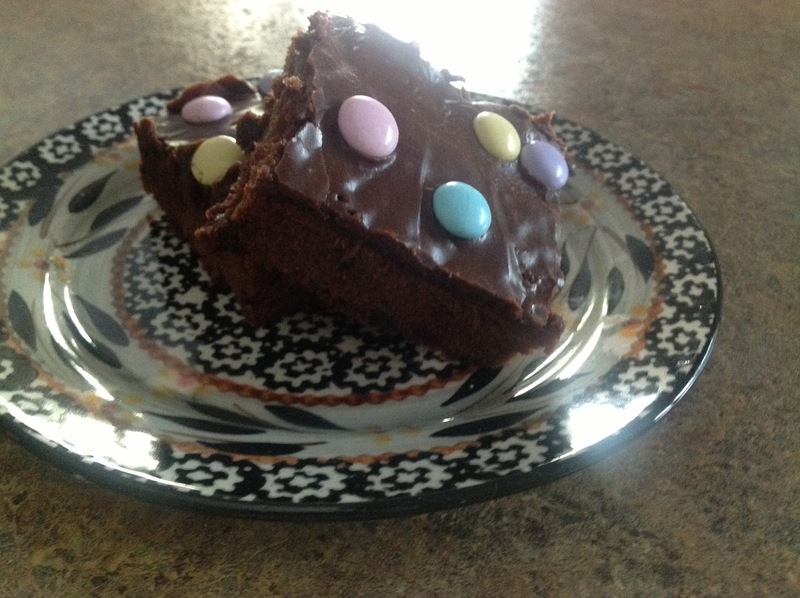 Hoping to whip up something delightful, my Candy-Coated Triple Chocolate Brownie Recipe was the first thing that came to mind. A wonderfully sweet treat, sure to put a smile on anyone’s face! Preheat oven to 350 degrees. Grease a 9×13 baking pan. In a large bowl, mix together first 4 ingredients. In a second bowl, combine flour, cocoa powder, salt, and chocolate chips; mix into egg mixture, just until moistened. Pour batter into pan and bake for 30-35 minutes or until set brownie edges start to pull away from the sides of the pan. Cool for 5-7 minutes before spreading prepared frosting over brownies. Sprinkle with coated chocolate candies. Cool completely before cutting into squares.